Duck Dynasty’s Missy Robertson celebrated her 43rd birthday on Tuesday, April 22 – the same day as her brother-in-law and Duck Commander CEO, Willie Robertson. 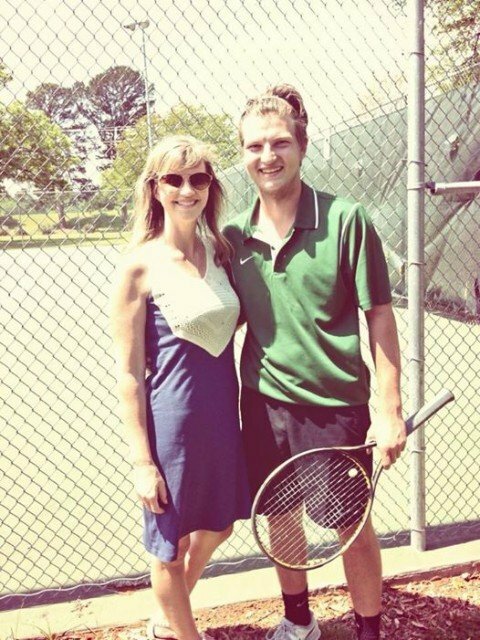 Missy Robertson spent her birthday watching son Reed and nephew John Luke (Willie and Korie Robertson’s son) play in tennis regionals. After marrying Jase Robertson in 1991, and now busy raising another generation of Robertsons, Missy West learned early on that she needed to step up her game. With help from her mother-in-law, Miss Kay, Missy Robertson transitioned into the lifestyle of a large family easily. She also learned that being a Robertson meant helping with the family business. However, after working for Duck Commander for many years, Missy Robertson is now able to devote much of her time to her real passion of vocal music, both singing and volunteering as a music teacher at her children’s school. Missy Robertson also handles her own family’s many activities and tries her best to keep 44-year-old Jase in line. Jase and Missy Robertson have been married for more than 22 years and have three children: Reed, Cole, and Mia.